How pharmacists could help save health care. Could Pharmacists Help Fix Health Care? The CVS-Aetna merger might be the first step toward changing their role. Evidence and history suggest this could be the right move. He can do more than just fill the bottles. Over the weekend, CVS Health and Aetna formally announced their long-rumored plans to merge. Many have already tried to divine what the merger’s legacy might be, as it’s certainly poised to shake up America’s economy and health care system. Some have fixated on the new company’s presumed antagonist, Amazon, and how the merger might force a rewrite of the retail giant’s play for the pharmaceutical market. Others suggest that the merger may be a big win for consumers, and could lower drug prices in the short term. Meanwhile, the local media in Rhode Island—the state where I’m currently writing this essay—have focused on how the merger would make the Ocean State home to America’s third-biggest company. The CVS-Aetna merger’s most sweeping implication, however, may have more to do with the company’s past, rather than its future. After its most recent series of evolutions—rebranding as a health-focused company, buying Caremark, and now merging with Aetna—it’s easy to forget that CVS once started as a drugstore. But to me, this past raises the question: How will the merger affect the pharmacists who work within them and who still remain at the center of the company’s growing push to influence every interaction of the American consumer’s health care experience? And how will this shape a profession that a pharmacy school dean once called “the most overeducated and underutilized health care professionals in America”? It’s difficult today to believe that pharmacists and doctors in America share similar occupational origins. According to William Kelly, a professor at the University of South Florida College of Pharmacy, both trace their roots back to the apothecary shops lining cobblestone streets in Boston, Philadelphia, and New York in the 1700s—owned by proto-physicians who treated the sick, sold goods from a general store, and concocted their own drugs from Old World patent medicines and New World herbs. But as our gargantuan health care system emerged, both professions have been siloed into different roles. Over time, it could be argued that doctors staked their claim to treating our patients while pharmacists took stewardship over drugs we prescribe to them. Today, the work and training of pharmacists can be taken for granted. Medical education to become a physician still generally involves a longer overall timeline, but pharmacists do attend school for six to eight years, taking courses in topics like law and economics while also taking science classes and gaining clinical experience. They can complete residencies and fellowships, and have to take board examinations—including one in jurisprudence, which doctors don’t take—to earn their state licenses. Yet the legal landscape is unforgiving for pharmacists across the country. 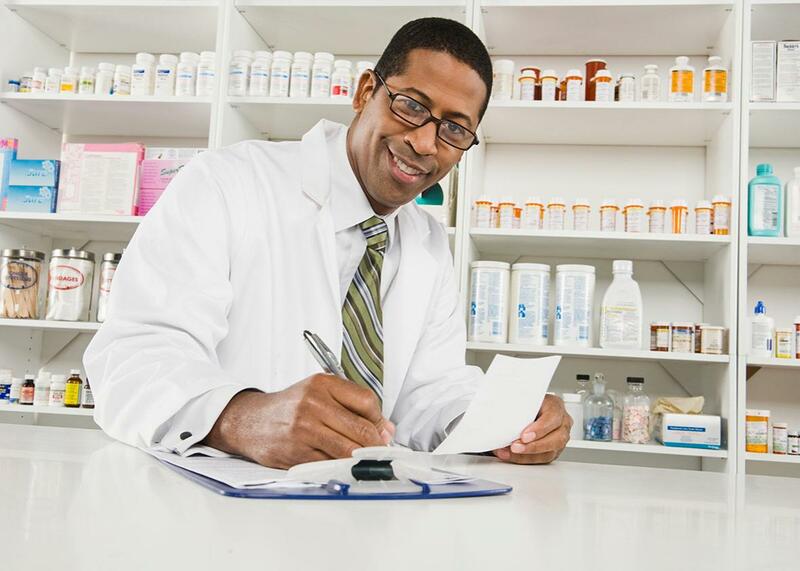 What pharmacists can and can’t do on their own varies greatly from state to state. As Rep. Buddy Carter—a Georgia Republican and pharmacist—wrote in an op-ed for the Hill last year, Medicare Part B doesn’t even recognize pharmacists as reimbursable health care professionals. Many of the Affordable Care Act’s Accountable Care Organizations have also left pharmacists out of their networks. And public perceptions of what pharmacists do, despite their insight, often don’t match up to their training and expertise. But as costs continue to grow for health care systems here and around the world, pharmacists have become increasingly utilized as direct patient care providers, rather than just as overqualified dispensaries. Provinces across Canada have been using pharmacists for issues like emergency contraception counseling, colon cancer screening, and even treating minor ailments like acne and oral thrush. Here in the United States, Medicaid programs have deployed pharmacists as smoking-cessation counselors, patient educators, and diabetes case managers. Veterans Affairs uses clinical pharmacists to decrease waiting times for patients seeking care for chronic conditions, like high blood pressure and high cholesterol. Research suggests that pharmacists have increased flu vaccination rates, in states where they can give them. And in Medicare Part D (as well as in other programs), pharmacists frequently provide medication-therapy management, where they work with patients to simplify drug regimens, check for any possible drug-to-drug interactions, modify dosing, and encourage the use of generic drugs when appropriate. Reporting since the merger also has highlighted the possible future role of CVS’s Minute Clinics, which work with physician groups and are staffed by nurse practitioners. These retail clinics operate within in the crucial gap between a primary care provider’s office and an urgent care facility. But CVS’s pharmacy-staffed locations outnumber their Minute Clinics by 9 to 1, and are far more likely to be found in rural communities. Within this context, the CVS-Aetna merger could instead transfer more practices empowering pharmacists into the private sector—as Aetna effectively gains access to an army of its own pharmacists scattered across the country, both willing and able to perform many of the necessary functions of primary care. Building upon CVS’s decision to quit selling tobacco products in 2014, the new company could encourage insurance policyholders to seek smoking cessation by pharmacists, rather than in the doctor’s office. CVS-Aetna could route routine immunizations to its brick-and-mortar locations and use pharmacists, seeing their patients frequently, to promote public health messages on issues like breastfeeding and exercise. It may even expand the Pharmacy Advisor program currently operated by CVS—which bears similarities to medication-therapy management—to all Aetna users too, in states where this may be legal. Adding to the responsibilities of pharmacists, as these trends continue, won’t come without its complications, nor does it guarantee benefits. Pharmacy schools today have had trouble keeping up with the growing influx of students seeking to attend them. MCPHS University in Boston, for example, recently went under probation for high student-to-professor ratios and overcrowded buildings on its campus. Policies around liability and malpractice insurance may have to change. And although medical therapy management makes lots of clinical sense in theory, practical data is inconclusive on how much it actually saves in cost to payers. Nevertheless, the possible rise of pharmacists in American health care, resulting from the CVS-Aetna merger, could ultimately help alleviate primary care shortages across much of our country and continue to move us toward a system that prioritizes team-based maintenance over individual heroics. At a recent inter-professional workshop my medical school hosted with local pharmacist, nursing, and social work programs, I was able to appreciate the strengths different health professionals can bring to the table in a medical team. The nursing students could take blood pressure far better than I could (as well as many of my peers, according to a recent study); the social work students held a more nuanced grasp of community resources available to our patients to quit smoking and lose weight. Pharmacists, many of whom could soon work for a merged CVS and Aetna, ought to be better integrated into this new delivery model for health care. Even today, they have an especially important role to address perhaps one of the biggest challenges faced by our health care system, which is medication adherence. Up to half of medications I will prescribe to my patients, if nothing changes, will not end up taken as I might imagine in the exam room. It’s a sobering reminder that teams, rather than individuals, will be managing the diseases faced by many of our patients in the coming years.